Peter Sterios ERYT-500 has been part of the global yoga community for over four decades as a teacher, writer, and entrepreneur based in San Luis Obispo, California. He is the creator of Manduka™, an leading eco-yoga products company based in Los Angeles. In 2009, Yoga Journal selected his first DVD, Gravity & Grace in their “top 15 yoga videos of all time” and his popular LEVITYoga™ Show appears on YogaAnytime™. He is an award winning architect, specializing in green yoga studios and retreat centers; co-founder of karmaNICA™, a charitable organization for impoverished kids in western Nicaragua; and for three years, taught yoga at the White House for Michelle Obama’s anti-obesity initiative (2011-2013). 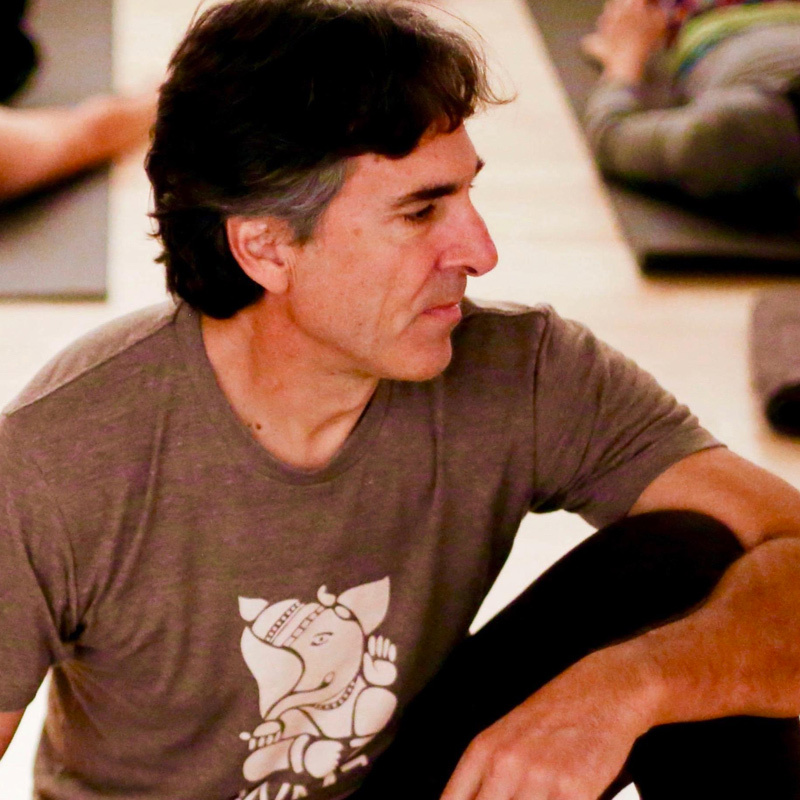 Peter’s influence through his teaching, writing and innovative design has been felt worldwide, and his lighthearted approach with LEVITYoga™ offers unique insight to the evolving art of yoga. Peter’s first book ‘GRAVITY & GRACE; How to Awaken Your Subtle Body with the Healing power of Yoga’ published by Sounds True is due in Spring 2019.